Hey, cutie pops! I've said it about 100 times before, but the Legend of Zelda: Ocarina of Time is my all time favorite video game. Therefore, I am obsessed with LoZ everything. When I saw that one of my favorite companies came out with a dress for one of my favorite games... I pretty much died of happiness. I took some pieces out of my Link cosplay for this look. 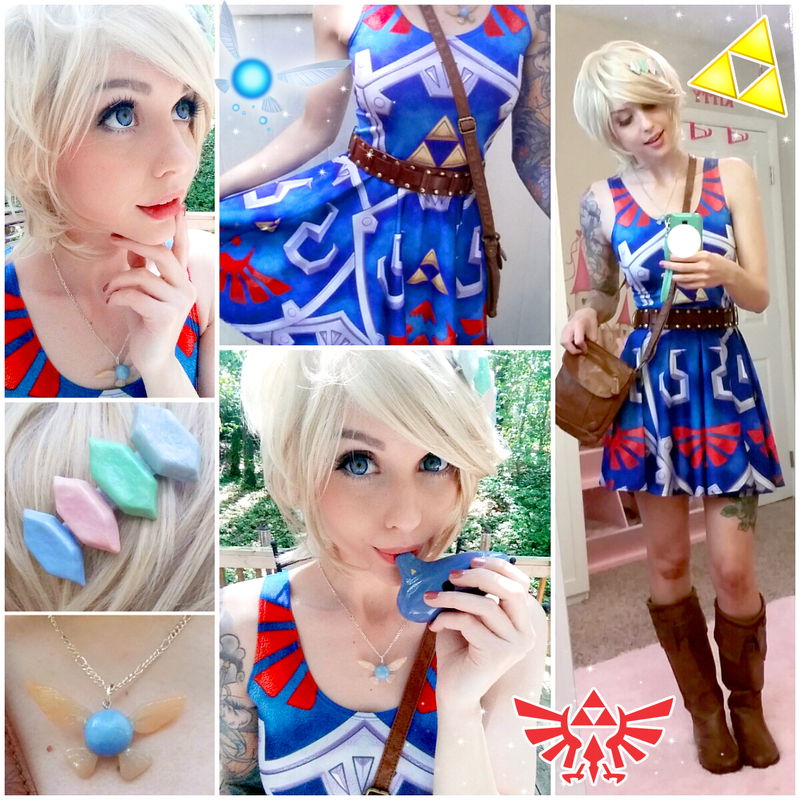 Super casual girly Link, annnnnd go! Belt: Random thrift store find! This is part of my Link cosplay. Boots: I'm not too sure where I ordered these boots from, but it doesn't really matter because they have been HEAVILY modified to fit my Link cosplay. I think they used to be riding boots of some kind. O.o Sry I can't be more helpful!